Find out the most effective way to get the straighter smile you’ve always wanted. If you are dealing with a crooked or misaligned smile, then you already know that getting braces could improve both your appearance and your oral health. 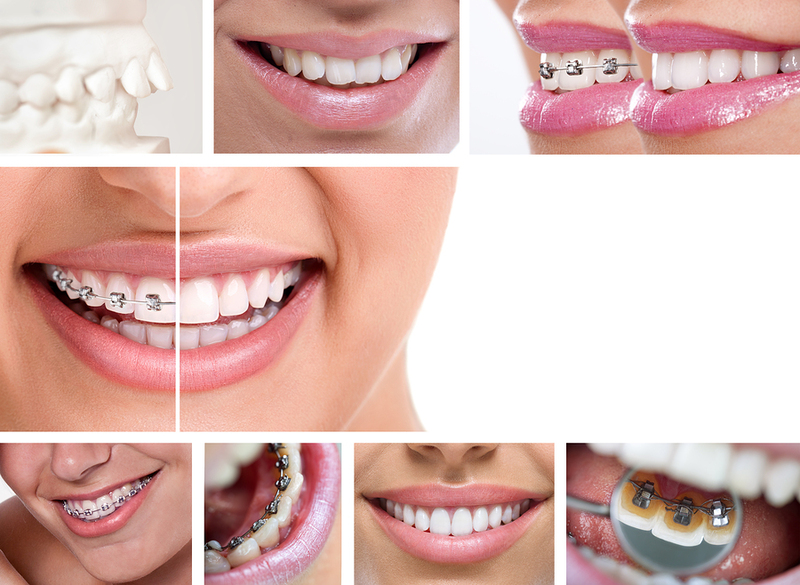 That being said, there are so many different kinds of braces on the market today that it can often be difficult to decide which type is right for you—this is where our Palmdale, CA, dentists can help. When you think about braces, chances are you that you're picturing traditional metal bracket-and-wire braces. Of course, don’t let this classic look fool you; metal braces have changed a lot over the years. They are now lightweight and sleeker than ever before, making them more comfortable to wear. 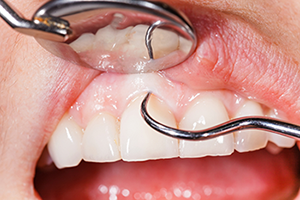 Those who are looking to correct more complex alignment issues, need jaw realignment, or are looking for a more budget-friendly orthodontic treatment are all ideal candidates for traditional metal braces. Ceramic braces function and look just like traditional braces, but the key difference is that the brackets are made from a clear ceramic making them less visible. As you might imagine, ceramic braces allow patients who require traditional braces to be able to have a more discreet and aesthetically pleasing option. Of course, it’s important that the wearer is dedicated to maintaining good oral hygiene, as the elastics can become discolored if you don’t thoroughly brush and floss on a regular basis. Again, if our Palmdale, CA, general dentist has determined that the most effective approach to a straighter smile will be with traditional braces you may also want to weigh the pros and cons of lingual braces. They function just like traditional metal braces, but instead of being bonded to the front of the teeth, they are actually adhered to the back for complete discretion. Of course, lingual braces aren’t ideal for all patients. Those who play certain instruments or sports, as well as those with underbites may not be good candidates for lingual braces. This orthodontic option is popular for older teens and adults who want to fix their misaligned smiles but with a subtler approach. Clear aligner systems such as Invisalign make it possible to fix everything from overbites and underbites to gaps between teeth and overcrowding through the use of transparent, plastic aligners rather than brackets and wires. Aligners are also removable so you can brush, floss, and eat the way you normally would even without braces. Do you have questions about the type of braces that would be ideal for your smile needs? Want to find out if your smile could benefit from orthodontic treatment? If so, call Pacific Dental Care today. We offer comprehensive dentistry to Palmdale, Rosamond, and Lancaster, CA. West Palmdale, CA, (661) 267-5700; East Palmdale, CA, (661) 285-8600; Rosamond, CA, (661) 256-2500; Lancaster, CA, (661) 948-8187. Want a smile that radiates beauty? Professional teeth whitening can rejuvenate your smile and erase years of dental stains through a safe and proven process. Pacific Dental Care, with offices in West Palmdale, East Palmdale, Rosamond, and Lancaster, CA, routinely provides this treatment to patients with fantastic results. Read on to learn how teeth whitening can rejuvenate your smile! Professional teeth whitening comes in two different forms that can both give you a dazzling white smile. Take-home whitening involves custom-fitted dental trays filled with tooth whitening gel that you can use at your own residence. For in-office bleaching, on the other hand, your dentist will combine tooth whitening gel with heat or light to speed up the whitening process. You will look and feel more attractive after a teeth whitening treatment! You will get winning results in less time if you have your teeth professionally whitened. Although many over-the-counter teeth whitening systems and products are available, including whitening mouth rinses, strips, and toothpastes, most people will not see great results with them. However, the bleaching gels that our dentists use are much stronger than OTC whitening kits and provide much better outcomes. You can whiten your teeth in a flash with a professional in-office teeth whitening treatment, as it takes less than 45 minutes to create a bright-white smile. A professional take-home teeth whitening treatment also provides outstanding results, although it takes one or two weeks of use. This reason is why teeth whitening is such a popular procedure among Hollywood celebrities. Despite our advancing age, many people want to look younger, and according to a survey conducted by Oral-B, healthy-looking teeth help adults achieve this. The study also showed that teeth whitening is even more effective in restoring a youthful appearance than a facelift! Ready for a smile makeover? Start your journey today! Call one of our offices to make an appointment for a dental consultation—West Palmdale, CA, (661) 267-5700; East Palmdale, CA, (661) 285-8600; Rosamond, CA, (661) 256-2500; Lancaster, CA, (661) 948-8187. We want you to live your best possible life! Discover what makes someone an ideal candidate for a professional whitening treatment. Teeth whitening is one of the most common cosmetic dental treatments our Palmdale, CA, dentists offer. This is because it provides your smile with vibrant, whiter results without having to undergo invasive dentistry. In fact, most patients get the results they are looking for in just one session. So, what makes someone right for professional teeth whitening? Most adults with healthy teeth and gums are ideal for professional teeth whitening, no matter whether you choose to get professional in-office or at-home whitening care from us. Before you undergo teeth whitening, our Palmdale cosmetic dentist will want to examine your smile to make sure that your teeth and gums are healthy enough for treatment. 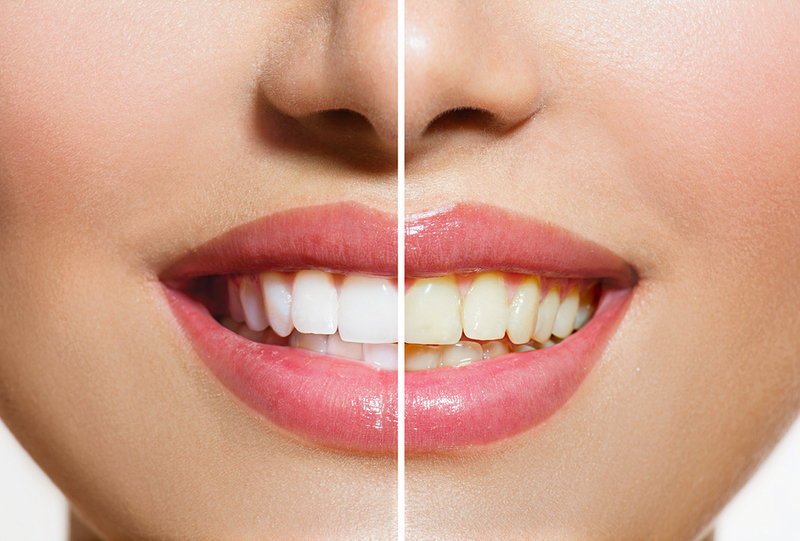 Patients who have yellow dental stains are often the best candidates for professional teeth whitening treatment as compared to those dealing with brown stains or internal stains, which are often blue in color. Internal stains aren’t usually responsive to professional teeth whitening; however, there are other ways to cover these discolorations. It’s also important to note that dental restorations such as crowns and fillings also won’t whiten with treatment; professional whitening only works on natural tooth enamel. Of course, this is something to discuss with our dentist in Palmdale, CA, during your consultation because this doesn’t necessarily mean that teeth whitening isn’t for you. If we determine that the fillings or crown is visible after whitening treatment we can replace these restorations for more even results. Here at Pacific Dental Care, we believe that getting your ideal smile shouldn’t be that difficult. If you are interested in finding out whether professional teeth whitening is right for you, call one of our offices in Rosamond, West Palmdale, Lancaster and East, Palmdale, CA, to schedule your consultation. Let’s give you something to smile about. According to the Centers for Disease Control and Prevention, almost half of American adults have some form of periodontal disease. This condition is the leading contributor to tooth loss and a huge threat to your oral health. Learning the symptoms of gum disease and spotting it early can help you get the help you need before it causes significant or irreversible damage. Find out more about the signs of periodontal disease and how your dentist can help with your dentist at Pacific Dental Care with locations in West Palmdale, East Palmdale, Rosamond, and Lancaster, CA. Periodontal disease occurs in people of any age and comes from the same substances which cause teeth decay. However, instead of eating through the tooth, the decay-causing bacteria and plaque build up under the gums, infecting them and, if left untreated, causing pain, discomfort, and eventually, tooth loss. Gum disease is both preventable and treatable, allowing you to reverse its symptoms and get your smile back with proper oral hygiene habits routine professional dental cleanings, and in advanced cases, a periodontal deep cleaning. Gum disease is treatable with help from your dentist. In mild to moderate cases, your dentist will suggest a periodontal deep cleaning to gently scrub the entire tooth and a portion of `its root to remove any built-up plaque or tartar causing your inflammation and irritation. Severe cases of periodontal disease may require a procedure called flap surgery to provide a more thorough cleaning. Coupled with proper brushing and flossing techniques and routine dental examinations and cleanings, your teeth will stay healthy and clean for years to come. For more information on the symptoms of gum disease or its treatments, please contact Pacific Dental Care with locations in West Palmdale, East Palmdale, Rosamond, and Lancaster, CA. Call (661) 267-5700 to schedule your appointment in West Palmdale, (661) 285-8600 to schedule your appointment in East Palmdale, (661) 256-2500 to schedule your appointment in Rosamond, or (661) 948-8187 to schedule your appointment in Lancaster today! Could Orthodontics Help My Smile? Orthodontic treatment helps patients who have alignment and spacing issues. It also helps people who have bite problems, like crossbites and other malocclusions. Though this treatment is more commonly recommended for children, one in five patients are adults according to the American Association of Orthodontists. Let an orthodontist at Pacific Dental Care in Rosamond, West Palmdale, Lancaster, or East Palmdale, CA, help realign your smile. - Gaps caused by teeth that are too small, or that have shifted out of their original position. - Crowding of the front teeth. - Extra teeth (usually appear on top of the gumline). - Teeth that protrude unnaturally. Most patients seek orthodontic care so that they can cosmetically improve their smiles, but there are other benefits to consider. For instance, patients who have jaw pain due to TMJ disorder may get relief after an orthodontic treatment. Bite adjustments can also help improve the way that you chew your food. Also, when your teeth look better you'll have more of a reason to make dental hygiene a top priority and see your Rosamond, West Palmdale, Lancaster, or East Palmdale orthodontist for checkups and necessary treatments. - Traditional metal braces (recommended for young children). - Ceramic braces (similar to metal but less conspicuous). - Lingual braces (placed behind the teeth instead of in front). - Invisalign clear aligners (best for minor orthodontic problems and available to older teens and adults). You should be proud of how your teeth look and feel. An orthodontic treatment may be the best thing for your smile. Call today to schedule a consultation with an orthodontist at Pacific Dental Care in Rosamond, West Palmdale, Lancaster, or East Palmdale, CA.